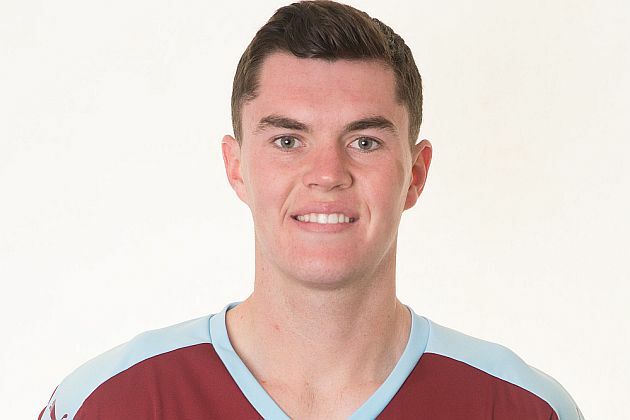 It’s proving to be a good season for Michael Keane and it’s one that got even better this morning when he was named as one of the six nominations for PFA Young Player of the Year. Just a year ago, Keane was one of four Burnley players, alongside Tom Heaton, Joey Barton and Andre Gray, to be named in the PFA Championship Team of the Year, with Gray winning the Player of the Year Award. Things couldn’t have got too much better for Keane. He got an early call into the England squad back in the autumn when he replaced the injured Glen Johnson at Stoke. He was called up immediately for the next squad a month later and then, after another recent call up, made his England debut in Dortmund in a friendly against Germany before going on to make his competitive bow against Lithuania at Wembley just a few days later. Now he’s been given this nomination, by those he plays against week in, week out, and he’s in some very good company. He’s up against Spurs’ pair Dele Alli, last year’s winner, and Harry Kane, Everton striker Romelu Lukaku, Jordan Pickford, the Sunderland goalkeeper, and Manchester City’s Leroy Sané. His manager Sean Dyche, on hearing the news, said: “He’s in very good company, that’s for sure, and I think he deserves to be in that company. I think he is having a very strong season. He has developed well over the past two and a half seasons and I’m pleased, because part of my sales pitch to get him here was that he is in a group that will develop and he will be a big part of that., so I’m pleased from our point of view that’s rung true for him.